We are moving towards cloud-native development. And there was a boom for Cloud foundry in 2018 and now we all are trying to build and deploy our applications on cloud foundry. In this blog, I will be showing how can we deploy any UI5 application on cloud foundry without generating any MTAR or without using webide. This blog is part of 5 blog series where we will create a cloud-native application which will be later published as Software as a service(SAAS). Deploying any UI5 application on Cloud Foundry. Build and deploy Node.js backend service on cloud foundry. Consuming Backend service in UI5 App on cloud foundry. SaaS provisioning and Schema Seperation. Lets now jump directly to Publishing any UI5 application of cloud foundry. Cloud Foundry is an open source, multi-cloud application platform as a service governed by the Cloud Foundry Foundation, a 501 organization. The software was originally developed by VMware and then transferred to Pivotal Software, a joint venture by EMC, VMware and General Electric. 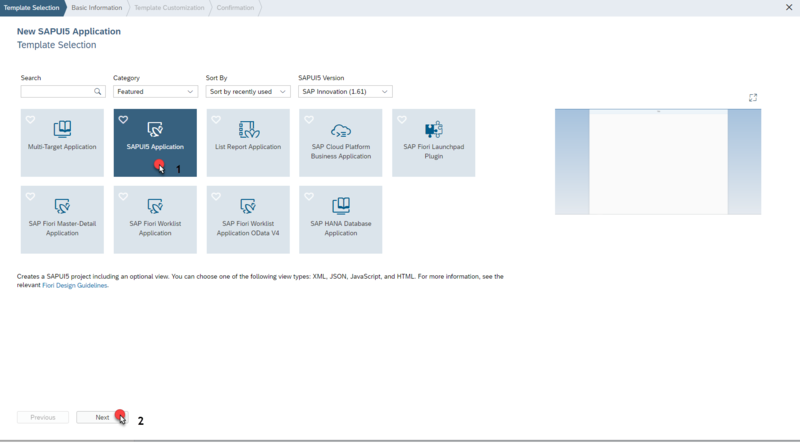 SAP Cloud Platform is a platform as a service developed by SAP SE for creating new applications or extending existing applications in a secure cloud computing environment managed by SAP. The SAP Cloud Platform integrates data and business processes. Once you know these terms, you can start building applications and deploy then on cloud foundry. We need to have an SAP Cloud Platform(SCP) account and then access to cloud foundry environment there. SAP CP comes with 90 days Cloud Foundry(cf) trial. To create and start using the CF environment you can follow this tutorial. To access SAP Web-IDE you need to open your SCP neo account. Goto services and select Web-IDE full Stack. Web-IDE will open in a new tab. Bookmark it for further reference. Give Name of project and click on finish. open the created view and insert the following code. Here name is the Name of application. we need to use staticfile_buildpack for the ui5 application. Now export this project on your local system. Before exporting make sure that your project is having manifest.yaml file at the correct location. 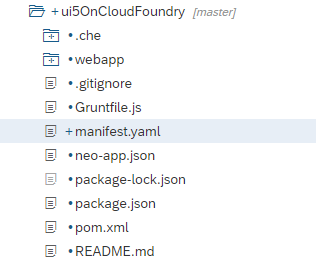 to create manifest.yaml you can right click on project -> create a new file -> give name “manifest.yaml”. Extract the project on your local machine. go inside project where manifest.yaml is. 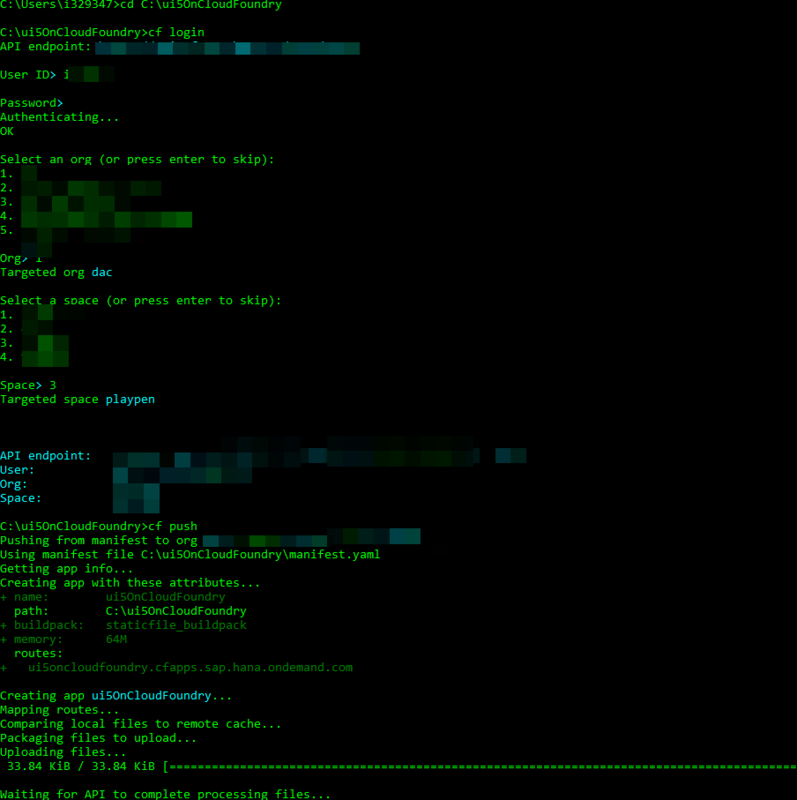 open CMD and goto the project’s directory. choose your workspace where you want to deploy the application. Now do a cf push. the CF CLI will pick manifest.yaml to start the deployment process. 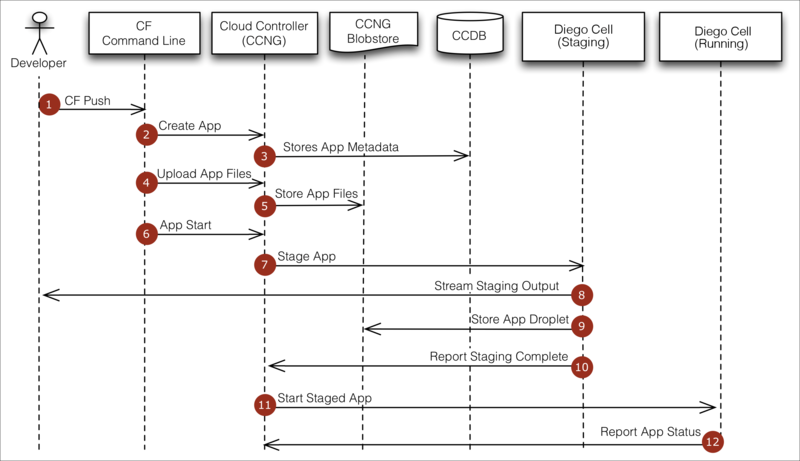 Cloud Foundry uses Diego to manage application containers. you can specify app name while cf push and the buildpack manually too. once the application is deployed. You can see the following information. you can copy the routes to access the deployed application. the route is created using application name + domain for app deployment. make sure to add webapp at end of your application route. since the app is deployed from manifest level and your application’s index is inside webapp. once you append /webapp/ you may get an error saying sap not defined. its because in index we have the relative path for Ui5 libraries.